Despite the remarkable recent growth of ethical and Islamic finance there are few academic or professional courses that provide commercially-focused pragmatic training. Our executive education courses do exactly that and we invite you to to register for this masterclass, delivered in partnership with UKIFC, that will provide you with an introduction to Islamic finance. The global Islamic finance industry grew by 11% in 2017 compared to the previous year to $2.4tn in assets and showed compounded annual growth of 6% since 2012. Within a challenging global economic context Islamic finance continues to flourish and grow. Contrary to some common misconceptions Islamic finance is not confined to Muslim majority countries nor is it exclusively serving Muslim consumers. The UK is considered the western lead for Islamic finance and many non-Muslim consumers, drawn by the ethical nature and competitive pricing, have embraced Shariah compliant products. Indeed, in terms of commercial real estate, only last year the Bank of London and The Middle East paid £55m on the Shariah compliant acquisition of 1 Atlantic Quay in Glasgow – the office of the Scottish Government. Similar commercial transactions involving Gulf Islamic Investments and Gatehouse Bank have taken place in Aberdeen. The trend of positioning Islamic finance within the broader ethical finance umbrella has gained momentum in recent years. Whilst the core principles of Islamic finance, such as the prevention of investing in harmful / sinful industries, prohibition of speculation and the principle of risk-sharing, all directly correlate to ethical finance values and strategies Islamic finance employs even greater ethical rigour through the purifying of dividends, prohibition of interest and requirement for Shari’ah boards to certify products. This half day course will provide will begin with a comprehensive introduction to Islamic finance, its ethical foundations, core structures, and creation of Islamic banking products. This course will be delivered by Omar Shaikh, Founding Director of UKIFC. A Chartered Accountant by profession Omar specialises in ethical finance, Islamic finance and private equity. Omar has advised, and trained, multiple governments on their capital markets, banking, pension and insurance regulation and is a regular speaker at ethical finance conference and events. 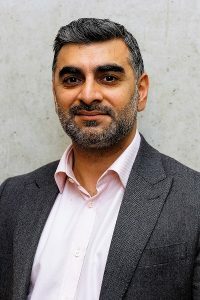 As a founding director of UKIFC Omar pioneered the award winning Edinburgh Ethical Finance Round Table series, established Edinburgh as a destination for international ethical finance conferences and led the development of the Edinburgh Finance Declaration, an interfaith shared values in ethical finance joint venture between the Church of Scotland and Islamic finance. Omar also sits on the board of Edinburgh-based Ethical Finance Hub and recently launched the Global Ethical Finance Initiative, a coordinated programme of innovative activities, originating from Scotland, to promote finance for positive change.